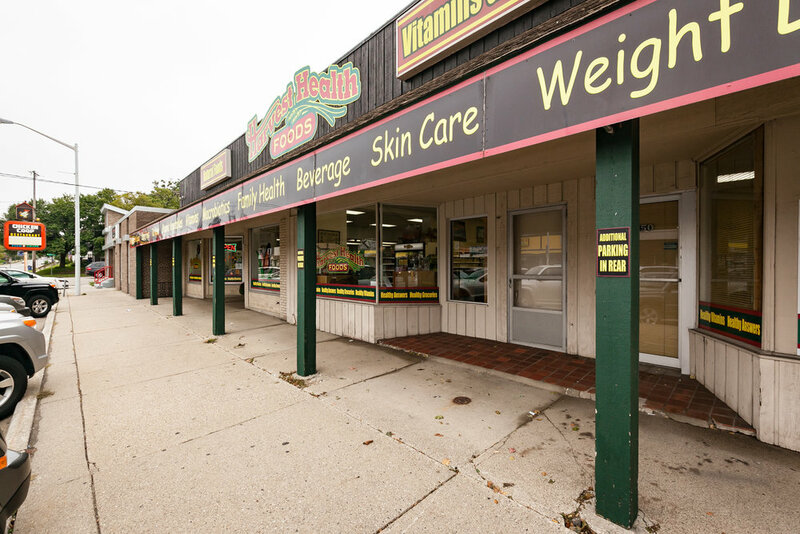 Alger Heights is a quaint family friendly Grand Rapids neighborhood that boasts an appealing variety of small businesses from breakfast to hardware, banking to fresh market, deli to public library, and many professional services in between. Known for charming homes, lush parks, and a number of special annual events; Alger Heights is a picture perfect neighborhood. It’s simply a wonderful place to live and visit. 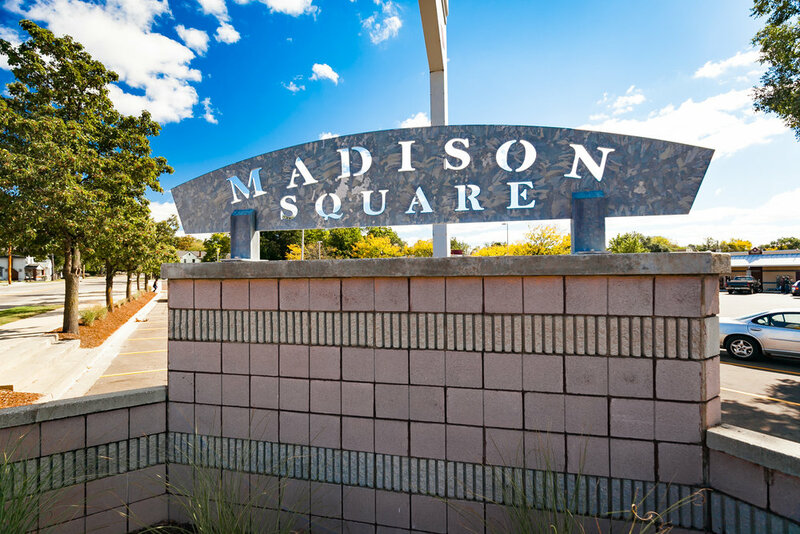 Boston Square is a neighborhood hub for commerce in southeast Grand Rapids conveniently located on a main city connector corridor. A vital resource for consumer goods and wholesale supplies; longstanding fixtures such as lumber, hardware and home decor, automotive services, and pharmacy each compliment unique retail shops and food options. Discover Boston Square and you might just add it to your regular errands routine once you realize how convenient it is. 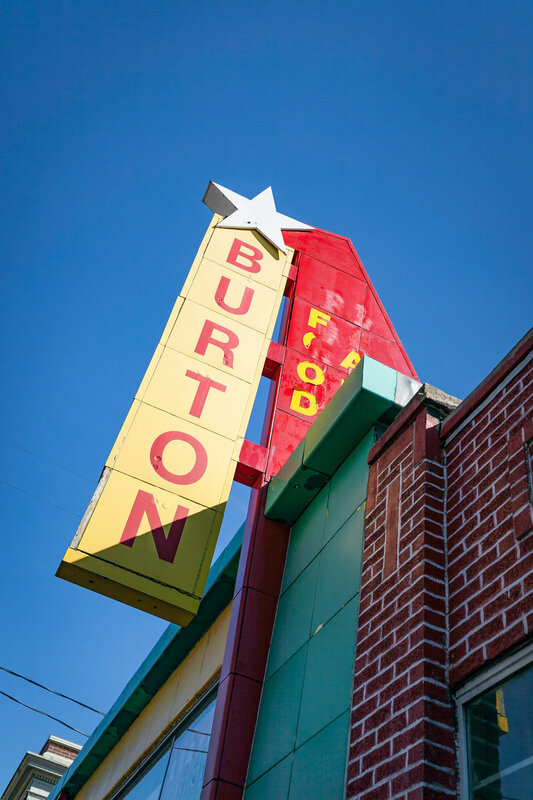 Once a small hamlet just south of downtown, Burton Heights boasts long-standing family-owned businesses mixed with new shops in a traditional mixed-use neighborhood. 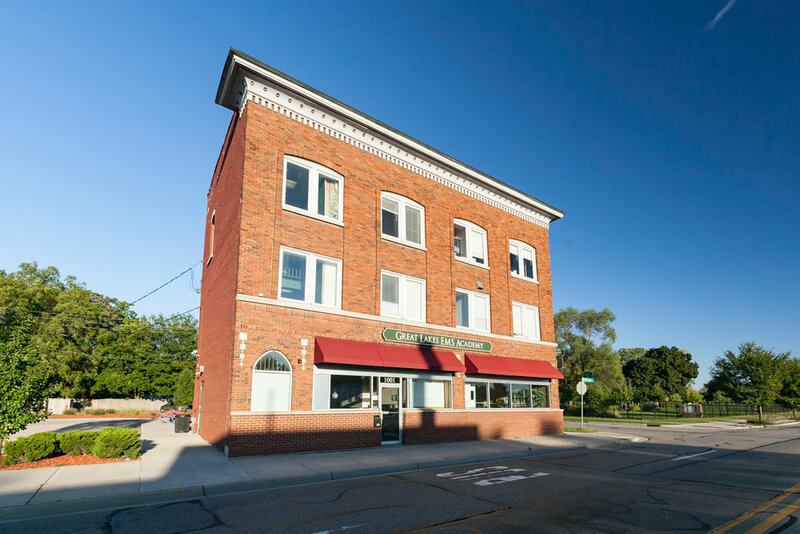 As a connector from Grand Rapids into Kentwood and Wyoming, this lively district serves the surrounding neighborhood as well as commuters with automotive and consumer services, restaurants, small ethnic grocers and bakeries, and neighborhood social services. 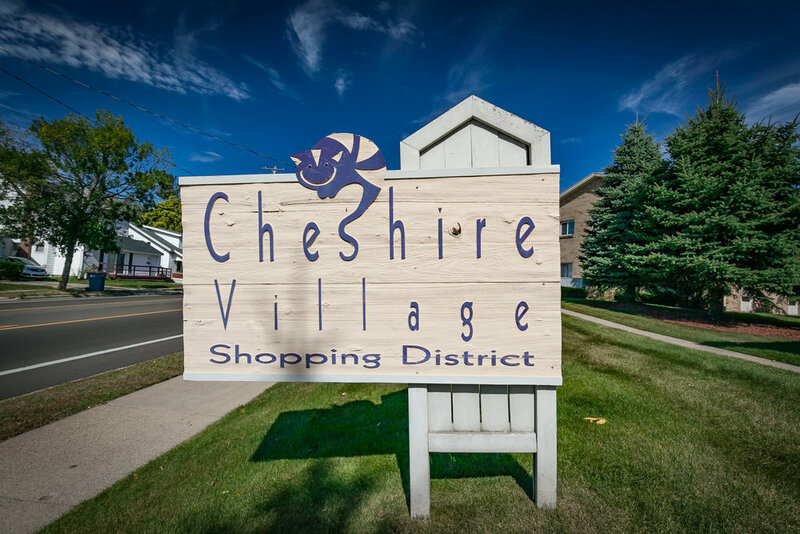 A charming area on the city’s most northern end, Cheshire Village is a delightful business district nestled between appealing postwar residential homes and the Grand River. Host to a specialty food market, pharmacy, bowling alley, and full-service and take out dining options; unique retail shops are joining the business mix. Access couldn’t be any more convenient as free parking and quaint design characteristics allow you to explore all of Cheshire Village by foot. 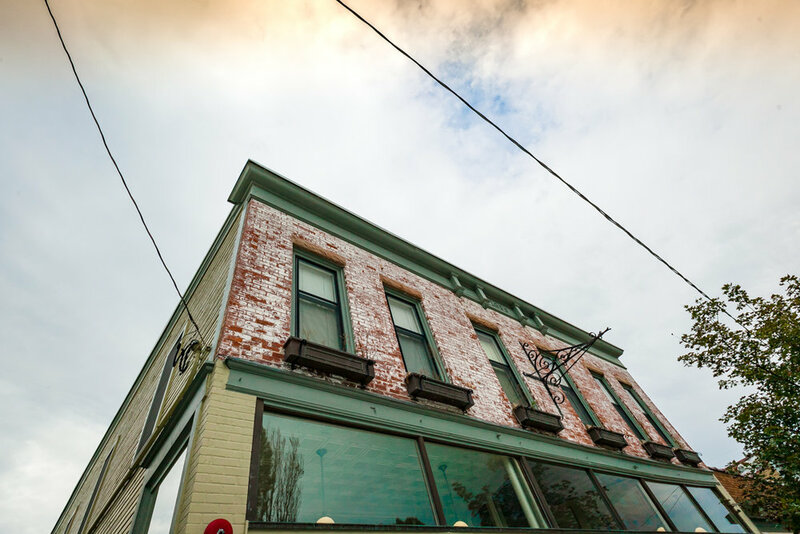 Serving as the gateway into downtown from the north, Creston is a perfect balance of work, life, and play. On any given day visitors will find a public library, home goods, automotive services, and professional offices supporting finance and real estate or telecommunications. Nights are best experienced in an authentic Iris pub, lounges highlighting regional beer, and restaurants with outdoor seating. This thriving district balances the nine to five of the daytime with an energetic nightlife in a quaint walkable neighborhood. Located less than one mile east of downtown East Fulton Street hosts an eclectic mix of businesses. Find your own personal treasure from an array of shops featuring antiques and found items. Taste a variety of foods from ethnic restaurants, a full service grocery store, the city’s oldest farmers market and classic neighborhood bakeries. From bike shop to auto service centers, East Fulton will keep you moving in style. 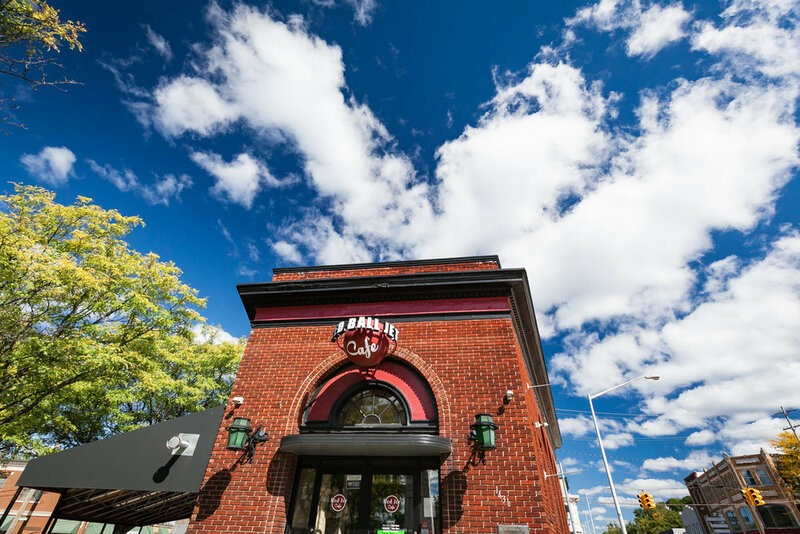 The brick streets of East Hills offer a wide selection of eateries, salons, boutique shops, and galleries. 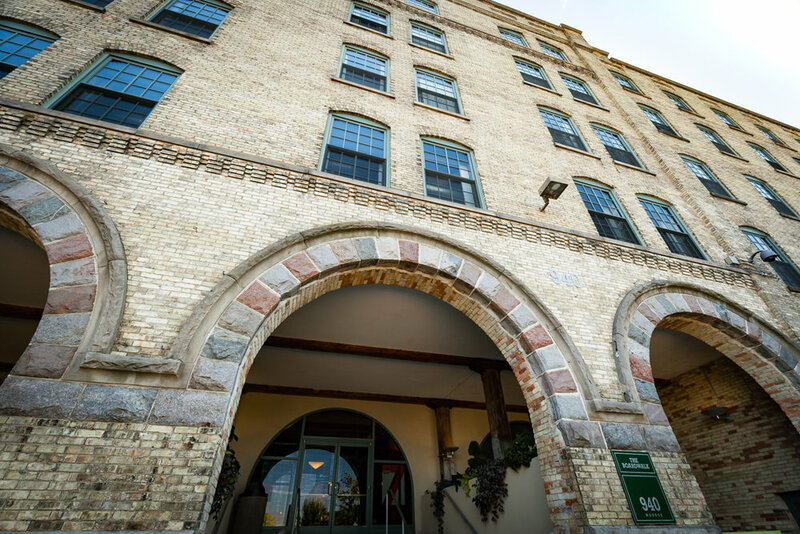 The flavor and character of the district is perhaps best experienced by simply strolling while taking in historic building styles creative elements. Self-proclaimed as the “Center of the Universe”; East Hills is a worthy discovery for a traditional neighborhood shopping experience. Small in scale, Franklin & Eastern proudly supports the surrounding neighborhood and community with a variety of social services. Anchored by a bank and service station, small convenience retailers are complimented by take-out restaurant options including BBQ and soul food. 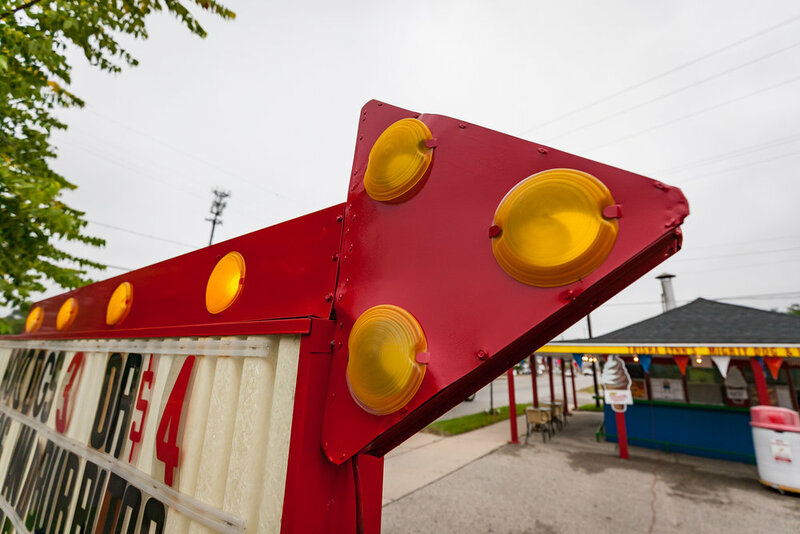 A strong faith-based presence remains committed to the neighborhood as new business ideas and redevelopment projects realize the true potential of the district. It's Grand Rapids' hippest neighborhood. A little but edgy, immensely diverse; the bricks pavers of the street are uneven in places and people like it that way. Experience the cities best mix of ethnic restaurants, pubs featuring live music, unique retail finds, and many community based services. Host to two of the longest running street celebrations every summer, this district is also the go to for a late night craving or early morning breakfast joint. Only in Eastown! The literal “heart of the city” - Heartside is the place where art, entertainment, social services, and good food converge. 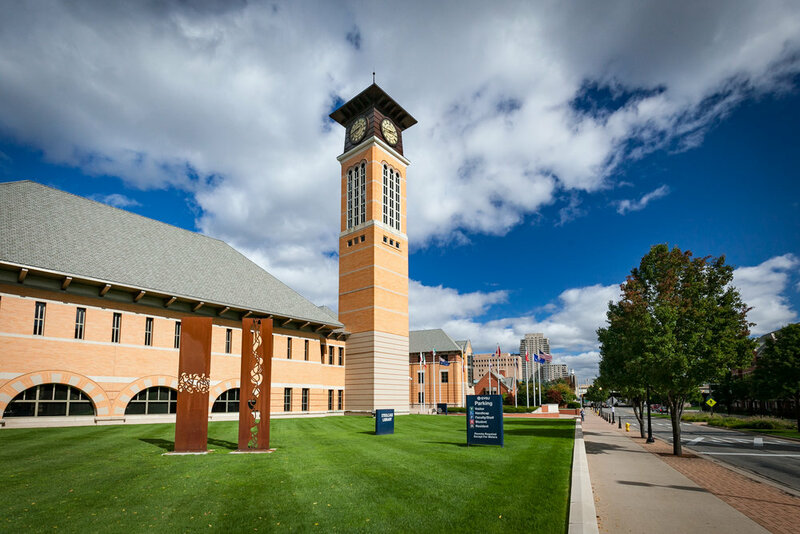 In this walkable historic neighborhood, old meets new with some of Grand Rapids' most popular destinations like the Van Andel Arena, Downtown Market and the events packed Avenue for the Arts and Arena District. Heartside offers an authentic neighborhood feel to the adjacent Center City. As the longest corridor in our traditional neighborhood business districts, West Leonard offers visitors multiple stopping points by car or transit in which to explore. Capitalizing on the historic pride of the west side, this neighborhood plays host to fun second hand shops, pharmacy and consumer services, shoes, home furnishings, and numerous eating and drinking establishments. Day to day essentials are complimented with entertainment and evening activities as West Leonard successfully achieves the greatest diversity of business types in the city. Madison Square is a reinvestment in itself. Anchored by a full service grocery store, clinic, and public library, you will also find many wonderful lifestyle businesses and restaurants that cater to the needs of residents and visitors alike. A true “can do” entrepreneurial spirit in an attractive streetscape exists at the corner of Madison and Hall with new retail and service businesses coming together as “community”. Free angled parking at the busy corner of Burton and Eastern make Seymour Square a very walkable experience. Consumer products include health foods, comics and collectables, salons and beauty supplies, clothing and accessories and multiple take-out restaurant options. A diverse mix of businesses celebrates the surrounding neighborhood. Michigan's first Bus Rapid Transit line connects the Michigan Street medical corridor to outlying communities through the Division South neighborhood business district. Pockets of unique retail at major intersections compliment automotive services, drive thru restaurants, manufacturing and distribution, auto parts, and community based services. Paved in brick and line with ornamental lighting, resurgence along historic Wealthy Street celebrates diverse entertainment and small business options. 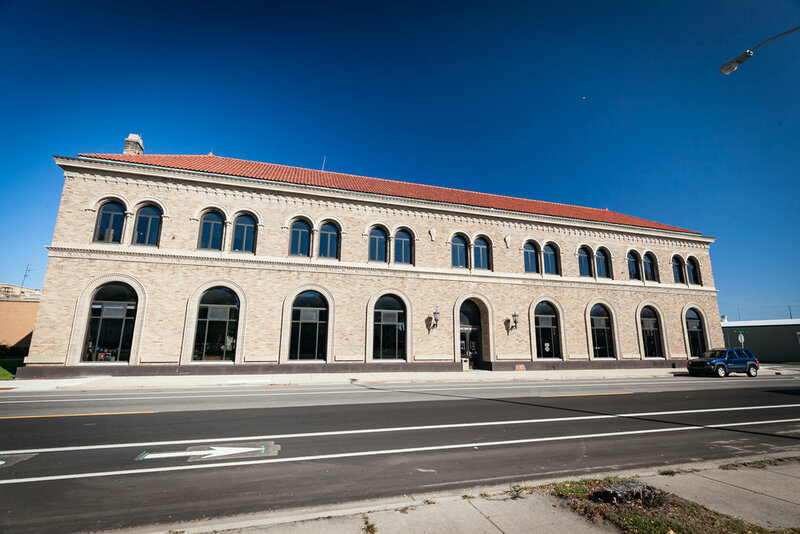 A robust mix of unique retail shops coincide with neighborhood coffee houses, salons, restaurants, and professional services all anchored by the beautifully refurbished Wealthy Theater. Find a little bit of everything on Wealthy Street morning, noon, and well into the evening. 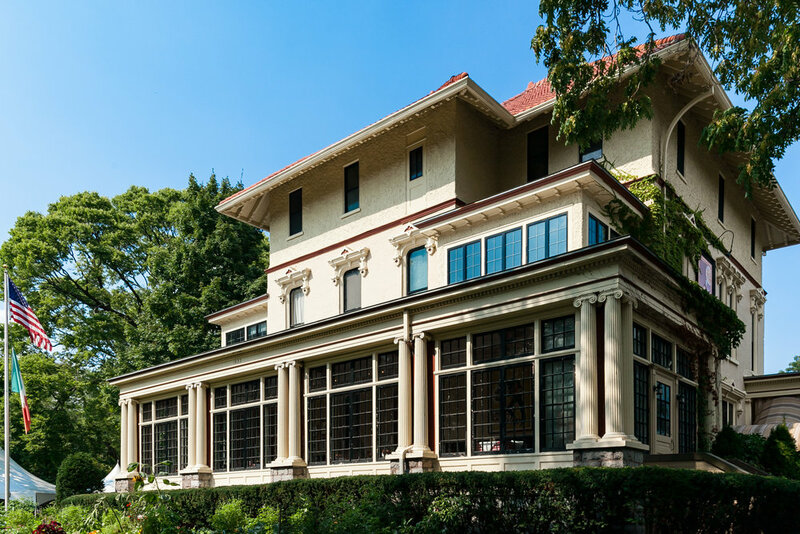 The “gateway to the near west side”, classic architecture and design highlight the proud history that Stockbridge plays host to. A traditional business district with a growing selection of pubs, restaurants, and specialty shops disburses from the intersection of Bridge and Stocking into the neighborhood where longstanding family-owned businesses and majestic parishes are the norm. Prime location and quality building stock welcome new business ideas into this growing district that’s worth watching.